1. Employees of Siteridge Ltd trading as Red FM, their relatives or anyone directly involved with the competition are not eligible to enter. 2. The competition is open to residents of the Republic of Ireland only. 3. Prizes will be as stated. No cash alternative will be offered. If prizes become unavailable due to circumstances beyond our control, suitable substitutes will be provided. 4. Entrants must be aged 18 years or over where prizes are of an adult nature or feature alcohol. 5. Entrants must be aged 21 years or over where prizes include travel outside of Ireland. 6. Entrants for competitions with prizes featuring cars or other powered vehicles must possess the required EU licence or other certification. 7. Entrants for competitions featuring holiday prizes with travel outside of Ireland must possess a valid passport, must be able to travel on the allocated dates, where stated, and must meet the necessary entry requirements, including visa conditions for the countries specified in the competition. Entrants should also have sufficient funds to meet any costs which may be incurred over and above any allocated spending money detailed in the prize. 8. It is the responsibility of the prize winners to secure the necessary holiday, travel and health insurance cover. 9. 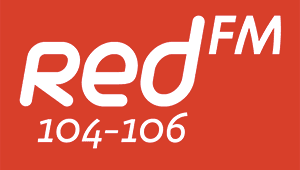 RedFM cannot be held responsible for damage or injury to competition winners or their property, nor can RedFM be held responsible for any documents, monies or personal item lost or stolen in the duration of any holiday element of their prize. 10. Entrants to phone-in competitions must seek the permission of the bill-payer before calling. 11. If, in the course of a telephone call, the telephone line is lost or breaks up, RedFM reserves the right to proceed to another caller. 12. Where RedFM calls a winner live on air, and the winner does not answer their phone at that time, RedFM has the right to proceed to declare and contact another winner. 13. Premium Rate services will be clearly identified on air and call rates and duration of calls explained in detail. Competition mechanics will be clearly explained. 14. Prize-winners may be asked – but are not required – to participate in promotional activities surrounding the competition and in promotion of future competitions. 15. In the event of a tie-break, entrants will be asked to participate in a secondary test of skill. 16. Prizes will be described as accurately as possible on-air and where practicable visual examples will be made available via the station website. 18. Prizes designed specifically for “employees and the workplace” are limited to one prize per workplace. 20. RedFM reserve the right to exclude any persons from competitions. 21. All contestants indemnify RedFM against all liability, cost, loss or expense arising out of acceptance of any prizes(s) or participation in the competition including (but not limited to) loss of income, personal injury and damage to property and whether direct or consequential, foreseeable, due to some negligent act or omission or otherwise. 22. If you are an entrant in a competition and cannot take the call or missed the call you therefore forfeit your prize/place. 23. The Judges and/or the Station Director’s decision is final and legally binding and no correspondence will be entered into. 24. All prizes must be collected from the station during normal working hours (Monday – Friday between 9am and 5.30pm). These are services available to registered users of Red FM. 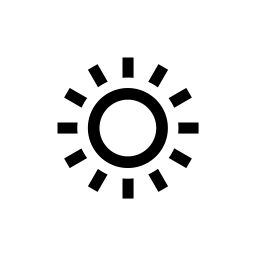 Certain aspects of the service provide users with SMS notifications and email updates. As part of the services, we reserve the right to send registered users of uLike periodic electronic messages via email or by mobile phone. Membership requires users to understand and agree that the service may include communications from Red FM such as service announcements, administrative messages, regular alerts, and periodicals. Redfm.ie may also send email communications on behalf of third parties to members but will never disclose the email addresses or mobile telephone numbers of members to these thrid parties. Users may opt out of receiving these messages at any time however this will disable all email and SMS services for that user. · No alcohol or food permitted on the Red FM bus at any time. · Red FM reserves the right to refuse any intoxicated individual entry to the Red FM bus. · Red FM reserves the right to exclude any person from the bus. Security personnel’s decision is final. · Bus pick-up/collection times and venues will be stated clearly in advance of travel. Patrons must be at the correct venues at the correct times, the Red FM bus will not wait for any persons who are late. · At all times, respect must be shown to the driver, security staff, Red FM staff and all other passengers travelling on the bus. 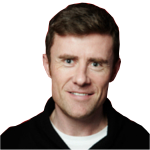 · Red FM cannot be held responsible for any documents, monies or personal items lost or stolen on the bus.